Depart for the Creole Nature Trail All-American Road. One of only 43 All-American Roads in the United States, the Creole Nature Trail All-American Road offers world-class bird and alligator populations make this byway a natural wonder while top-notch fishing, hunting, crabbing, boating, nature photography and other outdoor opportunities distinguish the byway as a recreational paradise. Free tour app, search “Creole” in your app store or click here to download. Make a stop at the Cameron Prairie National Wildlife Refuge Visitors Center. Engage in wildlife exploration at the Visitors Center featuring talking dioramas as well as multiple over-water boardwalks and viewing areas. Open Monday-Friday from 7:30 a.m. to 3 p.m.
A quick drive from the Visitor Center, you will not want to miss the Pintail Wildlife Drive & Boardwalk. This 3-mile driving loop is a wonderful place to view alligators and birds. Bird watching, photography, and sightseeing are encouraged year-round on the refuge. Spring and summer are the best times to see long-legged wading birds and shorebirds. The half-mile boardwalk is a prime area for those interested in photography/videography, especially since strategic areas of the boardwalk expand to allow for a camera or viewing tripods. Open daily during daylight hours. 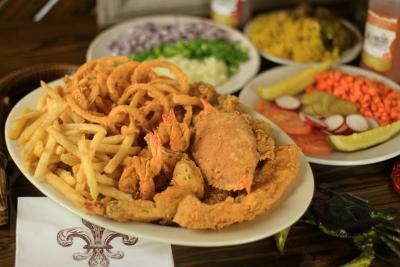 Enjoy a seafood dinner, po&apos;boy, or choice of plate lunches at a locally owned eatery in the area. Life’s a Beach. Make your way to Rutherford Beach to spot shore birds and do some shellin’. 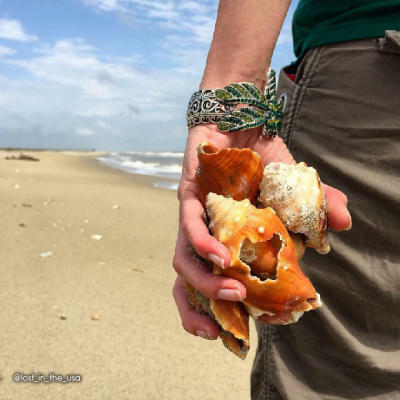 The Creole Nature Trail All-American Road has more than 26 miles of Gulf Coast beaches and Rutherford Beach is just one example of our rustic beaches that are prime seashell collecting territory! You’ve completed the west side of the Creole Nature Trail and most of the western spur. Head back to the city for more fun. Click here for more itineraries and trip ideas. Motivated to conquer the Trail? Continue your excursion along the Creole Nature Trail by heading east on Hwy. 82 for a ride on the Cameron Ferry that will take you (in your vehicle!) across the Calcasieu River Ship Channel. Keep a sharp eye, porpoises are a common sight among the boats in the ship channel, hoping for a free meal from the shrimp boat nets. Once you are back on land, head east into Cameron. 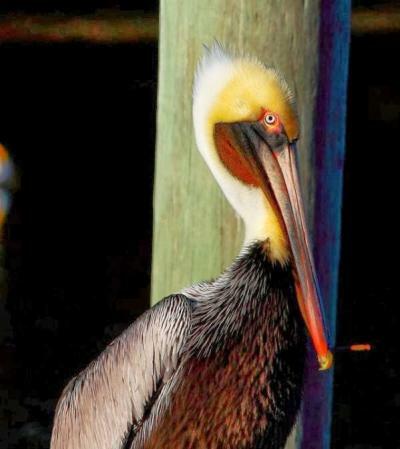 Click here for the Creole Nature Trail – West Side Itinerary and just work your way to Lake Charles, La.